This post is a continuation of my previous post, which you can find it here. I was asked to come in a review their procedures, and as you may know I decided to go in and consult with their dermatologist the apt procedure for my skin type. To keep you all informed, I have really bad acne and acne scaring . The doctor there asked me to do a chemical peel. He did two cosmo and two salysilic acid peel for my skin . The procedure was done more than 10 days ago ( from this post) . I did see some mild peeling, which I told was normal. I however had to take extra care while the peeling lasted and was strictly asked not to peel the skin on my own. 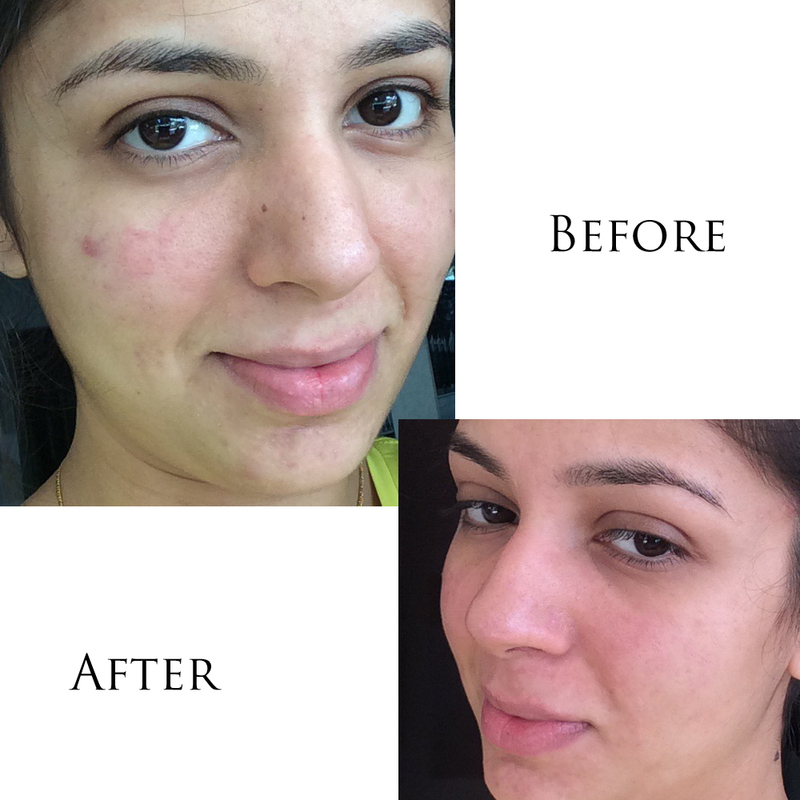 I did exactly as I was told and by judging the before and after pictures you can see that my skin is still a little red, but my acne scaring has reduced considerably. My personal opinion about the procedure is that, its a must for people who have suffered from acne all their life . This treatment/procedure needs to be repeated every 2 to 3 weeks for a period of 4 to 5 months or depending on how you skin is.